Sometimes all you need is a little Inspiration….and we are here to help with beautiful samples and wonderful ideas!! 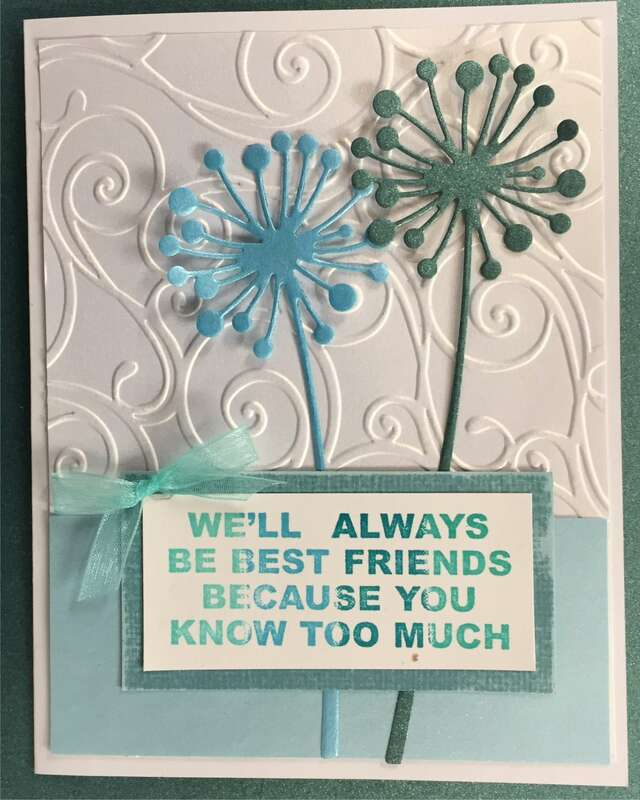 Be Best Friends unmounted stamp by Riley & Co. There are times when an item will be discontinued by the manufacturer. In these cases, we will do our best to help you find something similar. If the link to a product is no longer available, please contact us for product availability. (989)834-5222. For more inspiration, visit www.ovidscrapbooking.com. Retreat stays can be booked online at www.inspirationstationscrapbookretreat.com any time day or night or call 989-834-3044 for booking assistance.